Long lasting comfort and versatile style with the SKECHERS Wave Lite shoe. 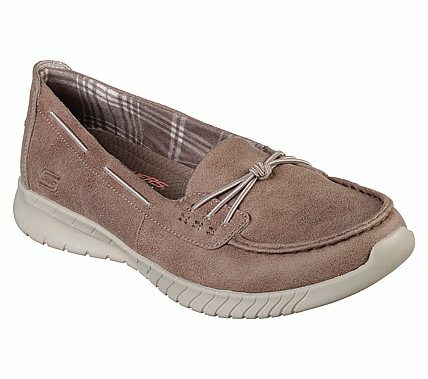 Soft microleather blend fabric upper in a slip on casual comfort loafer with stitching and overlay accents. Air Cooled Memory Foam insole.